Conant Gardens, Multi-Instrument Sample Bank from Native Instruments in the Expansions series. 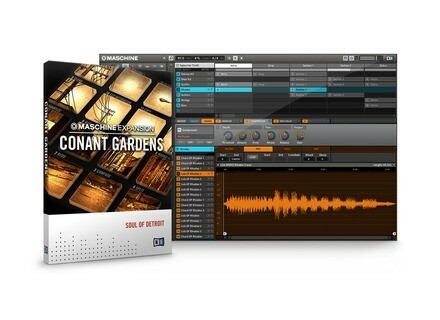 Native Instruments introduced Conant Gardens, a new Maschine Expansion covering hip-hop, funk, afrobeat and deep house. Named after the district of Detroit renowned as the birthplace of many African American musicians and artists, this expansion is designed to explore the distinctive sound of the neighborhood through tailored drum sounds, percussion and sampled phrases. The 45 kits in Conant Gardens mix one-shot drums and long-sample basslines, clavinet riffs, guitar and Rhodes piano phrases. Set to ADSR mode, classic sample techniques are emulated. Riffs and melodies are provided in their raw forms as additional Melodic Kits. For use with Maschine or Maschine Mikro, a number of pre-programmed patterns are provided. 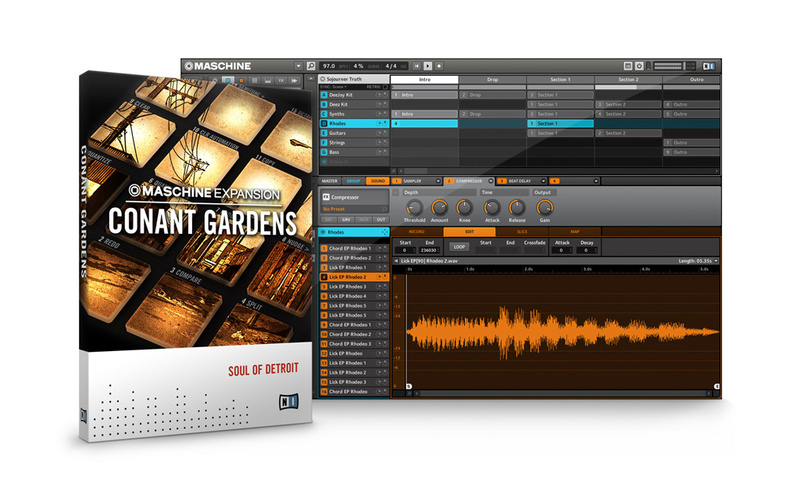 A compact version of Conant Gardens is also available for iMaschine. Conant Gardens is available at the NI Online Shop for $59/49 EUR. A percentage of each purchase will be donated to the J Dilla Foundation. The iMaschineversion is available at the in-app store for $0.99 / 0,79 EUR. Additional information is available at the Native Instruments website. Daniel Stawczyk Launches Circular for Gamma Ray Status has released Circular, a 128-preset soundbank for TubeOhm's Gamma-Ray.